They alternate between film work and teaching, so their skills and industry knowledge are always bang up to date. Neill has first-hand experience of working with them all and chooses them for their technical excellence and real experience of the industry. 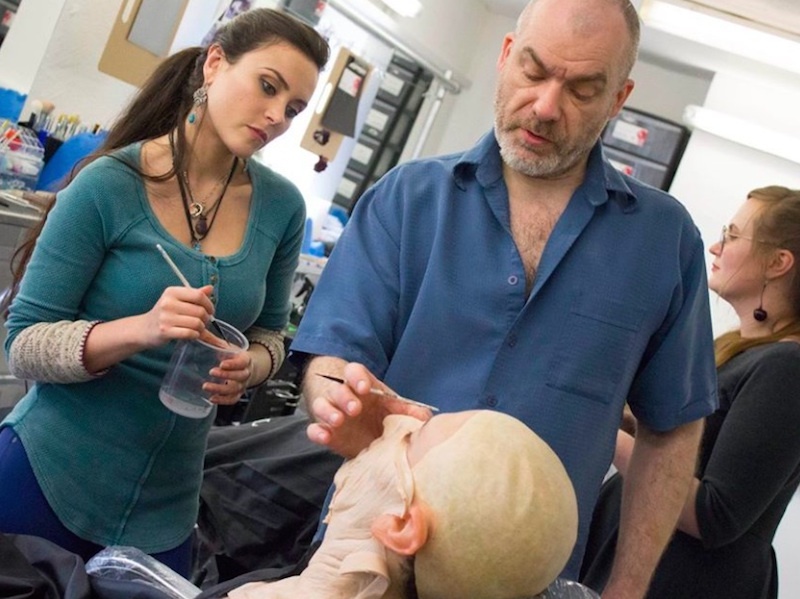 Screen prosthetics is a wide subject and no one tutor will be an expert in all areas, so we complement the principal tutors’ skills bases with visiting specialists who teach disciplines such as hair work and finishing. Neill Gorton teaches our 5-day Prosthetics Boot Camp, and our other short course tutors include master sculptor Don Lanning who visits regularly from Los Angeles to teach sculpting creatures and characters. We offer a range of other short courses at different times and the tutors' biographies are shown in the information about the course they're teaching. Neill teaches our 5-day Prosthetics Boot Camp, is often involved in our bespoke courses, and usually teaches a sculpture and design class in the first week of the 7-week course as well as being there at the end to see the final projects come together. As well as directing Gorton Studio, he is founder and co-director of Millennium FX, one of the industry’s leading prosthetics companies. He holds 12 major awards for his work on shows including Doctor Who, Tracey Ullman’s Show, The Catherine Tate Show, Bodies and Being Human. Neill has taught at many institutions including Dublin’s Dun Laoghaire Institute of Art, Design & Technology, Arts University Bournemouth where he was awarded an Honorary Fellowship in 2010, ACMUSE Australia, Leicester College, Grimsby Institute, The Israel Association of Cinema & Television Professionals in Tel Aviv, BBC Wales, Focal Zurich, Acte académie in France, MUD in Los Angeles and New York and the National Film & Television School. He is an advisor for the NFTS Digital FX Masters Degree and a Visiting Professor at the University of Bolton, where he was awarded an Honorary Doctorate in 2017.